Destiny, the first person shooter video game gets a sequel called Destiny 2. Since the recent gameplay premiere revealed a lot about the successor of the shooter. Many questions are still open. Perhaps the most important question is: Can Destiny 2 meets the high expectations of the fans? In 2014 Destiny entered the stage of the gaming world with a bang. Bungies and Activison's combination of shooter and MMO has attracted countless players and still has loyal and passionate fans. But "Destiny" was and still is far from perfection. Exploits, glitches, balance problems and content droughts determined the story of Destiny as well as the ongoing lively discussion between those who play the game and those who are developing the game. Especially, the balance in the PvP is a topic for which the developers never found an optimal solution. With Destiny 2 everything is now to be improved. At least the guardians want this and the developers are looking for it. But - what is really new in Destiny 2? One of the biggest criticisms in Destiny 1 was the campaign. The story missions were worthless: the connection was missing, there were no strong characters, no one really understood what it was about. Destiny and Destiny 2 play in a sci-fi setting at a time after the "collapse". The collapse represents the end of the Golden Age - an era that was considered the culmination of humanity. New planets were colonized and technical progress was not stopped. This era began with the arrival of the traveler (a mysterious, giant ball). The light of the traveler is the source of the power of the guardians. However, the traveler has many enemies that the guardians in Destiny 1 had to deal with. Destiny 2 concludes the events from "King of the Obscene". 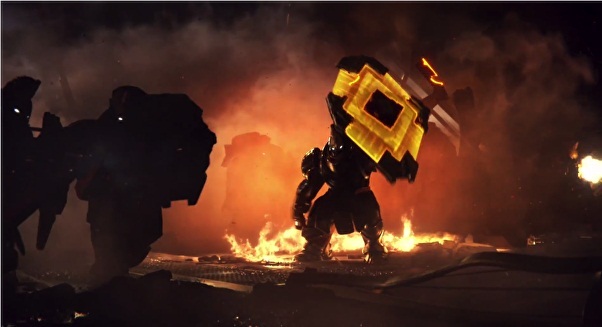 After the arrival of Oryx, the cabal sent an emergency signal - and now the Cabal Empire responds. The Red legion, an elite unit of cabal under the leadership of Ghaul, attacks the earth, the last city and the tower. Ghaul locks the traveler into a kind of cage, causing the guards to lose their power. In addition, all the items of the Guardians are destroyed during the invasion. This is the story-telling explanation why you need to start at Zero and learn new skills in Destiny 2. Only the appearance from Destiny 1 can be transmitted. The story missions in Destiny 2 are supposed to contain more cinematics and be better staged than in Destiny 1 - with the goal: Better story-telling, more action. After the attack of the Red legion, the vanguard chiefs are scattered in the solar system. Before you start looking for them, you will be sent to the European Death Zone, where many guardians took refuge and formed a new community. - Titan: A Saturn moon where Zavala is. This moon consists of a methane sea, there is no land mass. - Nessus: A planetoid with Cayde-6. This small planet has been transformed by the Vex. - Io: A sulfur planet of Jupiter. This is where Ikora Rey retreated. On Io there should be a lot of mythology and secrets. - New Weapon System: There is no division into primary, secondary and heavy weapons, but: kinetics, energy and power. In the kinetic slot are the previous primary weapons as well as the guns and the new SMGs, in the energy slot are the same armor as in the kinetic slot, but with elemental damage, and in the third power slot are all powerful weapons, the one With a hit - like shotgun, sniper, fusion gun, rocket launchers or the new grenade launchers. - There are numerous new weapons, armor parts and exotics. - A New Navigator: You do not have to fly into orbit anymore to start a new activity. The map can be opened anywhere. - Guided Games: A new kind of matchmaking that also allows solo players to play raids and other activities. They are matched with other clans who still need one or two players for an activity. In addition to story missions, strikes and etc, there are new activities: Adventures, Lost Sectors, and Public Events. - PvP: All modes in the melting pot are played 4v4. A new PvP mode is called Countdown. There are no private games at the launch. - The opponent races seem to remain the same. But there are new enemy units of the different races. In Destiny 2 there are the three known classes from Destiny 1: Titan, Hunter and Warlock. - The warlock gets the Dawnblade. The Super is a solar sword. To this focus, there is already more information. - The Titan receives the sentinel. At the Super, he creates a blank sign. - The hunter receives the Ark strider. The Super is an Ark Staff. The complete list of all subclasses in Destiny 2 is still unknown, but the three new foci will replace the Bladedancer, the defender and the Sunsinger. In addition, previous focuss are being revised, such as the Titan Striker and the Hunter Gunslinger. This is new: In The Division 1, there were no possibilities to find any clans. Social features existed, but apart from the basic interpretation of co-op gameplay, there were none. In The Division 2, you will now find an extensive clan system. How does this work? In the game you can always start a clan. But you have to unlock the features in the story. This is new: strongholds, or bases, are missions that are significantly larger than the main missions of the campaign. In total there are 4 bases, the headquarters of the enemy factions of The Division 2. They play an important role, both in the story and in the endgame. How does this work? The first 3 bases are already playable during the main campaign. But you have to complete the main missions first. The bases are one of the conditions to get into the endgame. In the endgame finally emerges with Black Tusk the 4th faction and takes all fortresses themselves. Therefore, they have to be completed in a harder version again in order to advance in the world rankings. Once you have completed all 3 fortresses and achieved world rank 4, Tidal Basin unlocks the 4th fortress. It is the fortress of the Black Tusk. This is new: In contrast to Part 1, the game world of The Division 2 should be much more dynamic and diversified. To achieve this, Massive has built a system of checkpoints and settlements. - And also recruiting people who are important to the division's project. In addition, there is a network of dynamic control points distributed throughout the game world. These are highly contested and can be controlled by either civilians or the enemy factions. How does this work? Civilians and enemy factions are constantly fighting for control of these important issues in the game world. You can assist the civilians in the conquest. If you capture points, they will be occupied by civilians. These can provide you with resources such as materials and food and help with the defense. Captured checkpoints also provide loot that matches your level. This is new: In The Division 2, players can finally access a photo mode to capture the detailed and immersive world of Washington DC and create cool works of art. How does this work? The photo mode can be started in the menu. You can move the camera within a certain radius of your character and test different positions. There are filters and other effects. This is new: In addition to the huge selection of weapons and equipment, there are also the new specializations in the Endgame. These are new progress trees that you can upgrade from level 30 onwards. How does this work? Each of the 3 specializations comes with an individual weapon, different skill variants, perks and other benefits. - Survival specialist with an arm. So you can expand your preferred style of play and optimize builds even further. Would you rather be a sniper, dealing damage from a distance and targeting enemies with a scanner drone, or would you prefer the destroyer that makes chaos with a shotgun and grenade launcher? You can always freely switch between the specializations and expand all to the maximum. This is new: Although there were PvP modes already in The Division 1. But these were more of a nice addition, which were delivered later with DLCs. In The Division 2, Conflict now has its own PvP section, right to the start. The matches take place on their own PvP maps, which were designed especially for these modes. In the first part, only certain sections of the game world were used for the PvP maps. This is new: Even before the release of The Division 1 fans expressed the desire to be able to play big raids. With the attacks but then mini variants were introduced, larger raids do not exist. This will change in The Division 2, because shortly after release, the first raid "Operation Dark Hours" start. How does this work? There is hardly any more detailed information. The only sure thing is that Raids are designed for 8 players and that the venue of Operation Dark Hours will be Washington Ronald Reagan Airport. Otherwise there was only vague information from the developers. So the Raid is to make the players really ready and remind more of raids of classic MMORPGs . Exploration obviously becomes a central point of the raid. Dark Hours will be the first but not the last raid. Massive is already planning another 8-player activity.